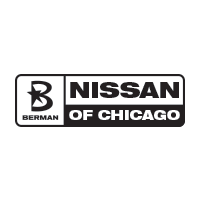 2019 Nissan Sentra S Brilliant Silver Metallic Factory MSRP: $20,380 400 plus indoor car showroom, state of the art facility built in 2017, number 1 Nissan volume dealer in Chicago, number 1 Nissan Certified Pre Owned Dealer in the USA, hassle free pricing, Only KBB Instant Cash Offer Nissan Dealer in Chicago, our sales volume gives us buying power to get your financing approved with great rates and terms for everyone, and we are THE highest rated dealer in Chicago by Google. 2019 Nissan Sentra SV Fresh Powder Factory MSRP: $20,390 29/37 City/Highway MPG 400 plus indoor car showroom, state of the art facility built in 2017, number 1 Nissan volume dealer in Chicago, number 1 Nissan Certified Pre Owned Dealer in the USA, hassle free pricing, Only KBB Instant Cash Offer Nissan Dealer in Chicago, our sales volume gives us buying power to get your financing approved with great rates and terms for everyone, and we are THE highest rated dealer in Chicago by Google. 2019 Nissan Sentra SV Red Alert Factory MSRP: $20,390 29/37 City/Highway MPG 400 plus indoor car showroom, state of the art facility built in 2017, number 1 Nissan volume dealer in Chicago, number 1 Nissan Certified Pre Owned Dealer in the USA, hassle free pricing, Only KBB Instant Cash Offer Nissan Dealer in Chicago, our sales volume gives us buying power to get your financing approved with great rates and terms for everyone, and we are THE highest rated dealer in Chicago by Google. 2019 Nissan Sentra SV Red Alert Factory MSRP: $20,490 29/37 City/Highway MPG 400 plus indoor car showroom, state of the art facility built in 2017, number 1 Nissan volume dealer in Chicago, number 1 Nissan Certified Pre Owned Dealer in the USA, hassle free pricing, Only KBB Instant Cash Offer Nissan Dealer in Chicago, our sales volume gives us buying power to get your financing approved with great rates and terms for everyone, and we are THE highest rated dealer in Chicago by Google. Recent Arrival! 2019 Nissan Sentra SV Brilliant Silver Metallic Factory MSRP: $20,495 29/37 City/Highway MPG 400 plus indoor car showroom, state of the art facility built in 2017, number 1 Nissan volume dealer in Chicago, number 1 Nissan Certified Pre Owned Dealer in the USA, hassle free pricing, Only KBB Instant Cash Offer Nissan Dealer in Chicago, our sales volume gives us buying power to get your financing approved with great rates and terms for everyone, and we are THE highest rated dealer in Chicago by Google. 2019 Nissan Sentra SV Deep Blue Pearl Factory MSRP: $20,495 29/37 City/Highway MPG 400 plus indoor car showroom, state of the art facility built in 2017, number 1 Nissan volume dealer in Chicago, number 1 Nissan Certified Pre Owned Dealer in the USA, hassle free pricing, Only KBB Instant Cash Offer Nissan Dealer in Chicago, our sales volume gives us buying power to get your financing approved with great rates and terms for everyone, and we are THE highest rated dealer in Chicago by Google. 2019 Nissan Sentra SV Gun Metallic Factory MSRP: $20,690 29/37 City/Highway MPG 400 plus indoor car showroom, state of the art facility built in 2017, number 1 Nissan volume dealer in Chicago, number 1 Nissan Certified Pre Owned Dealer in the USA, hassle free pricing, Only KBB Instant Cash Offer Nissan Dealer in Chicago, our sales volume gives us buying power to get your financing approved with great rates and terms for everyone, and we are THE highest rated dealer in Chicago by Google. 2019 Nissan Sentra SV Gun Metallic Factory MSRP: $20,795 29/37 City/Highway MPG 400 plus indoor car showroom, state of the art facility built in 2017, number 1 Nissan volume dealer in Chicago, number 1 Nissan Certified Pre Owned Dealer in the USA, hassle free pricing, Only KBB Instant Cash Offer Nissan Dealer in Chicago, our sales volume gives us buying power to get your financing approved with great rates and terms for everyone, and we are THE highest rated dealer in Chicago by Google. 2019 Nissan Sentra S Super Black Factory MSRP: $21,445 400 plus indoor car showroom, state of the art facility built in 2017, number 1 Nissan volume dealer in Chicago, number 1 Nissan Certified Pre Owned Dealer in the USA, hassle free pricing, Only KBB Instant Cash Offer Nissan Dealer in Chicago, our sales volume gives us buying power to get your financing approved with great rates and terms for everyone, and we are THE highest rated dealer in Chicago by Google. 2019 Nissan Kicks SR Brilliant Silver Metallic Factory MSRP: $22,300 31/36 City/Highway MPG 400 plus indoor car showroom, state of the art facility built in 2017, number 1 Nissan volume dealer in Chicago, number 1 Nissan Certified Pre Owned Dealer in the USA, hassle free pricing, Only KBB Instant Cash Offer Nissan Dealer in Chicago, our sales volume gives us buying power to get your financing approved with great rates and terms for everyone, and we are THE highest rated dealer in Chicago by Google. Recent Arrival! 2019 Nissan Kicks SR Cayenne Red Factory MSRP: $22,500 31/36 City/Highway MPG 400 plus indoor car showroom, state of the art facility built in 2017, number 1 Nissan volume dealer in Chicago, number 1 Nissan Certified Pre Owned Dealer in the USA, hassle free pricing, Only KBB Instant Cash Offer Nissan Dealer in Chicago, our sales volume gives us buying power to get your financing approved with great rates and terms for everyone, and we are THE highest rated dealer in Chicago by Google. Recent Arrival! 2019 Nissan Kicks SR Deep Blue Pearl Factory MSRP: $22,500 31/36 City/Highway MPG 400 plus indoor car showroom, state of the art facility built in 2017, number 1 Nissan volume dealer in Chicago, number 1 Nissan Certified Pre Owned Dealer in the USA, hassle free pricing, Only KBB Instant Cash Offer Nissan Dealer in Chicago, our sales volume gives us buying power to get your financing approved with great rates and terms for everyone, and we are THE highest rated dealer in Chicago by Google. Recent Arrival! 2019 Nissan Kicks SR Aspen White Factory MSRP: $22,895 31/36 City/Highway MPG 400 plus indoor car showroom, state of the art facility built in 2017, number 1 Nissan volume dealer in Chicago, number 1 Nissan Certified Pre Owned Dealer in the USA, hassle free pricing, Only KBB Instant Cash Offer Nissan Dealer in Chicago, our sales volume gives us buying power to get your financing approved with great rates and terms for everyone, and we are THE highest rated dealer in Chicago by Google. 2019 Nissan Kicks SR Aspen White Factory MSRP: $22,895 31/36 City/Highway MPG 400 plus indoor car showroom, state of the art facility built in 2017, number 1 Nissan volume dealer in Chicago, number 1 Nissan Certified Pre Owned Dealer in the USA, hassle free pricing, Only KBB Instant Cash Offer Nissan Dealer in Chicago, our sales volume gives us buying power to get your financing approved with great rates and terms for everyone, and we are THE highest rated dealer in Chicago by Google. Recent Arrival! 2019 Nissan Kicks SR Super Black Factory MSRP: $22,895 31/36 City/Highway MPG 400 plus indoor car showroom, state of the art facility built in 2017, number 1 Nissan volume dealer in Chicago, number 1 Nissan Certified Pre Owned Dealer in the USA, hassle free pricing, Only KBB Instant Cash Offer Nissan Dealer in Chicago, our sales volume gives us buying power to get your financing approved with great rates and terms for everyone, and we are THE highest rated dealer in Chicago by Google.